We all know that feeling when you hear something that sounds too good to be true. Like the diet that promises, you can eat what you want and lose weight. Well when I first heard about Blood Flow Restriction Training, or “BFRT” for short that’s exactly what I thought. People lift heavy weights in an effort to build muscle mass and get stronger, but what if I told you, you could get just as strong in the same timeframe or maybe even less, by lifting lightweights. I know, I know – it sounds too good to be true, right? Wrong, this is the magic of BFRT and it is true! The original idea, credited to a Japanese doctor who developed “Kaatsu Training”, was typically associated with professional body builders willing to do anything for a competitive edge. However, since the first study in 1998 the evidence and popularity for it has been growing in the sports injury and orthopedic rehabilitation world. 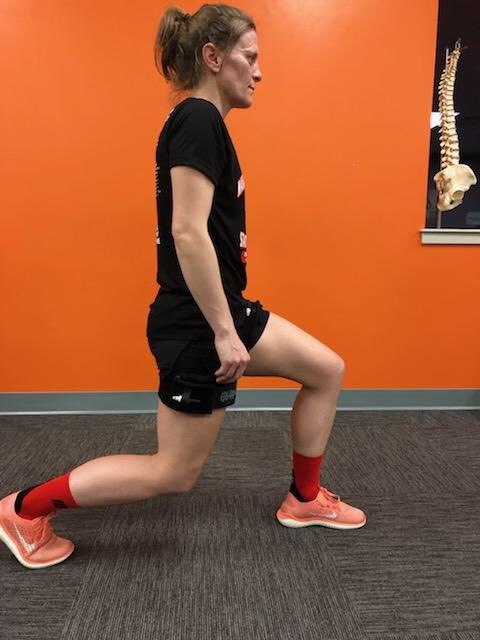 Traditional muscle strengthening takes about 12 weeks of regularly lifting heavy weight in order to create both a mechanical stress (the strain on the muscle and joints) and metabolic stress (hormone and metabolite changes) on the tissues. This results in muscle hypertrophy i.e. muscle growth. The science suggests you have to lift 70-85% of the maximum you can lift once (1RM), in order to build true muscle strength. The problem in the rehabilitation world is that, too often either due to current injury, deconditioning or age this is just too risky. Despite strong evidence suggesting you cannot build strength by lifting anything less than 67-70% 1RM, in the physical therapy world we are usually having patients only lift anywhere from 20-40% of their 1RM and yet talking about doing strengthening exercises. A misnomer if ever there has been one. Blood flow restriction training (BFRT) involves restricting the return of blood to the heart during exercise by applying a narrow pressure cuff on one, two or all fours limbs. This restriction in the blood flow tricks the body, by creating a metabolic stress response similar to that created when we lift heavy weights. In contrast to traditional strength training, we avoid creating the mechanical stress, which is typically associated with micro tears in the muscle and the familiar post-workout muscle soreness that lasts for days. In the rehabilitation setting, achieving muscle loading at a threshold high enough to induce muscle hypertrophy but low enough to avoid causing further pain, inflammation or injury to tissue that is already hurt or recovering from surgery is like discovering the elixir of youth. BFRT provides us a scientific and safe way to train muscles at relatively low loads, while promising the same muscle growth results as heavy lifting and some argue in a shorter period, often as early as 4 – 6 weeks. To some the idea of restricting blood flow may sound arcane or even frightening. As with anything, it is not a technique for everyone. There are even some risks for those who are appropriate candidates. These include adverse events like a venous thrombosis, pulmonary embolism and even rhabdomyolysis, a condition where muscle breakdown can cause kidney problems. This is why it is a skilled intervention and requires a trained professional. Here at Alliance PT, with the aid of a Doppler ultrasound your highly trained therapist will determine the appropriate amount of pressure in the cuff to provide a controlled and safe amount of restriction in your blood flow. While there is a common range, there is no one size fits all or even one size fitting all limbs on the same person. Each limb that will have the cuff on needs to be evaluated and appropriately restricted. Once your therapist has determined your individualized level of cuff pressure, BFRT is surprisingly comfortable. Your therapist’s next task is to prescribe you an exercise program that is appropriate for your injury / condition, current abilities and stage of rehabilitation. It might involve cardiovascular training or resistance training or a combination of the two. Depending on the patient, a typical BFRT session might last 6 to 30 minutes at a time. Finally, once set up it is important that your therapist monitor’s your response and tolerance to BFRT throughout the session and even how you do immediately post-BFRT. As amazing as BFRT is, it does not fully replace traditional heavy lifting, in fact when appropriate; you should still lift heavy weights to stimulate the full benefits to central nervous system offered by traditional strength training. In the meantime, though, if you are recovering from orthopedic surgery such as total joint replacement, ACL reconstruction, rotator cuff repair or trying to avoid surgery on your osteoarthritic knee or shoulder BFRT might be your ticket to building stronger muscles and therefore having less pain and disability. BFRT has even shown benefit in the geriatric population as a way to reduce falls risk by providing strength gains for better balance. Another exciting thing about BRFT is that since it stimulates the release of specific proteins and growth hormones into the bloodstream, the effect is systemic i.e. causes an effect in the whole body not just one limb or isolated muscle. We might even see the expansion of BFRT into treating back pain and perhaps even cardiovascular disease in the future. Centner, C et al (2018) Effects of blood flow restriction training on muscular strength and hypertrophy in older individuals: A systematic Review and Meta-Analysis. Sports Medicine October 10. Lowery, R et al (2013) Practical blood flow restriction training increases hypertrophy during a periodized resistance training program. Clinical Physiology Functional Imaging. Slysz, J et al (2016) The efficacy of blood flow restricted exercise: a systematic review and meta-analysis. Journal of Science and Medicine in Sport. 19 (669-675). Vanwye, W et al (2017) Blood flow restriction training: implementation into clinical practice. International Journal of exercise Science 10 (5): 649-654.